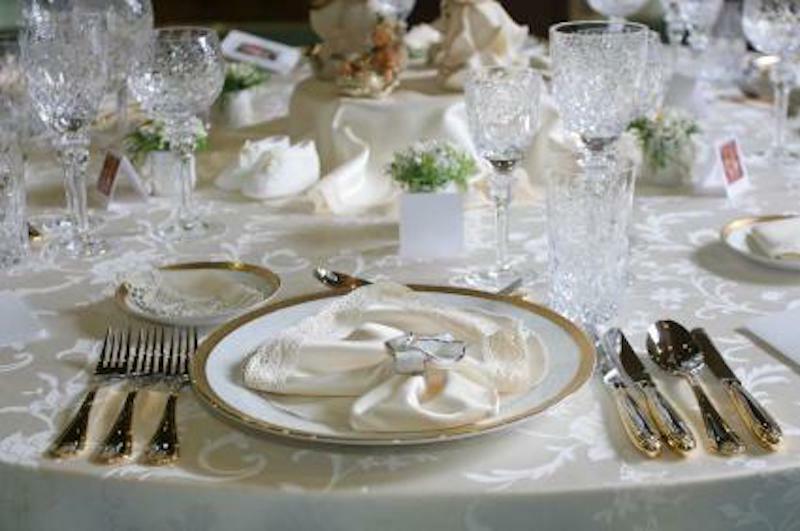 I went to a fundraising dinner last week where the question about table etiquette arose. People were asking their neighbors which glass was theirs and which fork to use. It reminded me of setting the table for dinner for my mother. My mother was a snob when it came to setting the table for a meal. In order for my sister and I to learn the “right way” to set a table, she would often tell us that we were having soup or fish with dinner. This had to be interpreted by us as having to add the correct cutlery (utensils), namely soup spoons or fish knives and forks as well as knowing each piece’s position in relation to the main course’s place setting. Another vestige of imperialism that I was reminded of in a movie I watched recently was the chauffeur being told, as he reached for a cup of tea, that he was not entitled to using the good china, that the everyday china for his use was in the kitchen. People become anxious and interested in the importance of etiquette when an unfamiliar standard exists. This standard can be used as an excuse for discriminatory behavior, as was seen in many classist cultures world wide. The dictionary definition of etiquette is the customary code of polite behavior in society or among members of a particular profession or group. It is not etiquette to be rude and exclusionary under any circumstances. My friend and colleague, Rachel Saathoff, recently published a great blog on this topic – Earning a Seat at the Table . Please read it. Call ageism out when you observe it. This will develop dignity and trust across all ages and create a desirable workplace for all.